Straight forward design in dazzling black with an elegant colour accent. 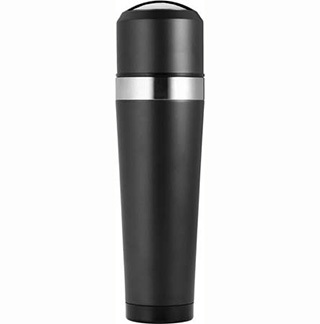 500ml vacuum insulated, charcoal grey sprayed stainless steel with self closing pourer. Registered design.